The perks of this game is the interactive play. 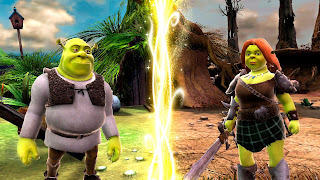 You can be any one of the characters at any time, making it easy to use Fiona, Shrek, Puss in Boots, or Donkey's unique skills to solve puzzles and challenges as you face them. 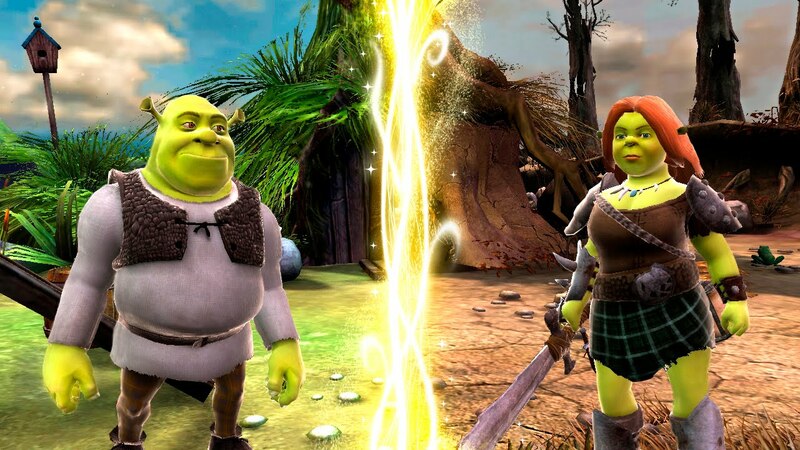 Shrek is continually weaving in and out of his real world and an alternative reality -- something that keeps the game play fresh and helps to build imaginations in kids! There was nothing I really objected to in this game. It is rated E10+ for mischief and mild lyrics. It isn't anything more outrageous than the actual movie, however, so if you find the film to be appropriate for your family, the game will be just fine! I loved the teamwork aspect of this game. It was fun to watch all of my kids working together as different characters on the same side. How often do you see that in a game these days? With impressive graphics, enjoyable music, and, of course, the branding that only the Shrek franchise can offer -- this is a game that my kids get out over and over. 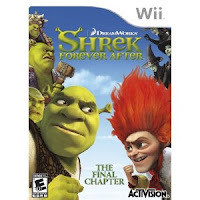 Available for the Wii, NDS, PC, Xbox 360 and PS3, you can order it from Amazon.com or your favorite video game retailer.